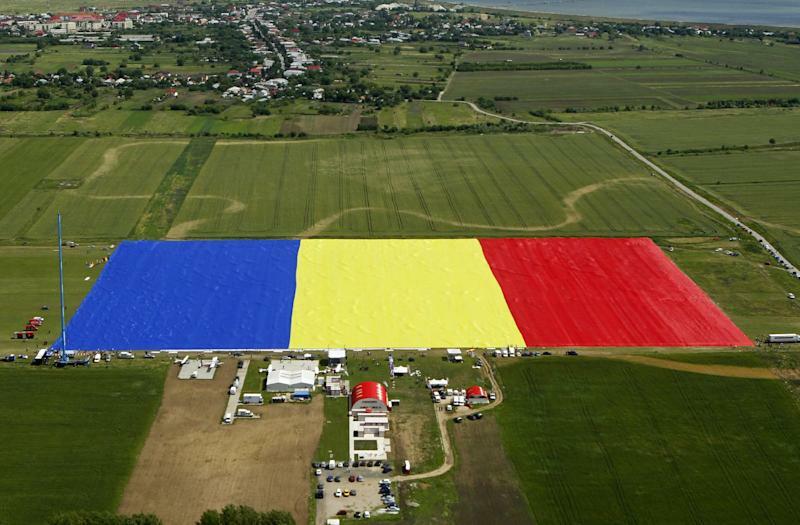 BUCHAREST, Romania (AP) — A Romanian village on Monday unfurled what is the largest flag ever made, Guinness World Records said. It took about 200 people several hours Monday to roll out the flag, which measured about 349 meters (1,145 feet) by 227 meters (744.5 feet), about three times the size of a football field, according to Jack Brockbank, an adjudicator for Guinness World Records who measured the flag before pronouncing it the biggest flag in the world. "It gives me great pleasure to recognize a new Guinness World Record title," he said after measuring the flag. "Congratulations Romania!" 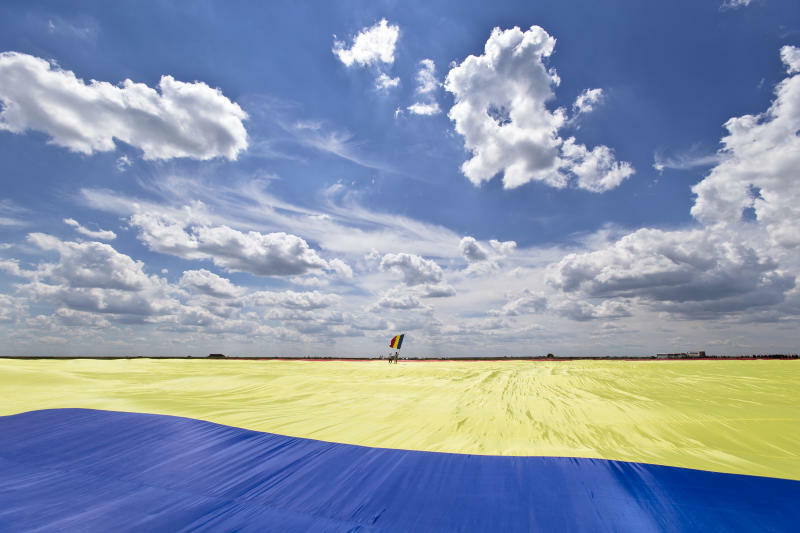 He said Romania's red, yellow and blue flag covers an area of about 79,290 square meters (853,478 square feet), downing Lebanon which had held the previous record. 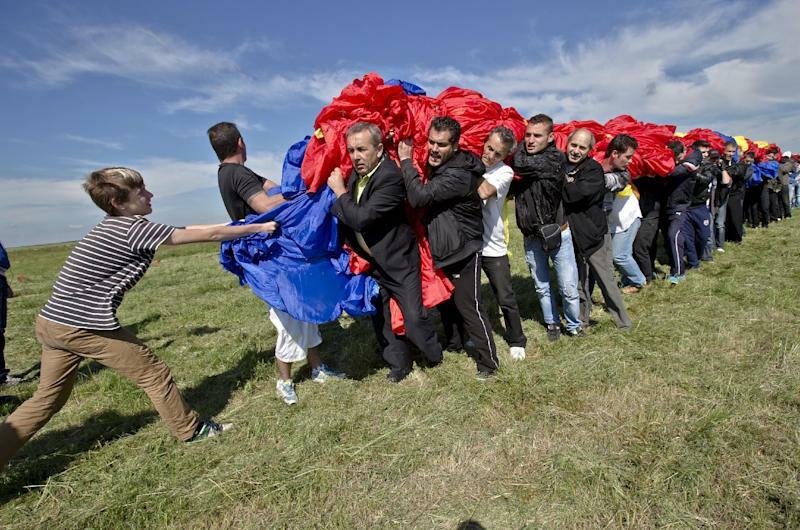 The five-ton flag was displayed in Clinceni, 35 kilometers (22 miles) southeast of Bucharest. Workers struggled to keep it firmly planted on the ground because of windy conditions and had to use small sandbags. Adrian Dragomir, manager of the Flags Factory which created the flag, says it took weeks to sew and 70 kilometers (44 miles) of thread was needed. A military brass band played as Prime Minister Victor Ponta and other ministers arrived in the village to view the flag.